Holiday at some special destination is a surprise for anyone but it becomes unforgettable when something different experienced by us. 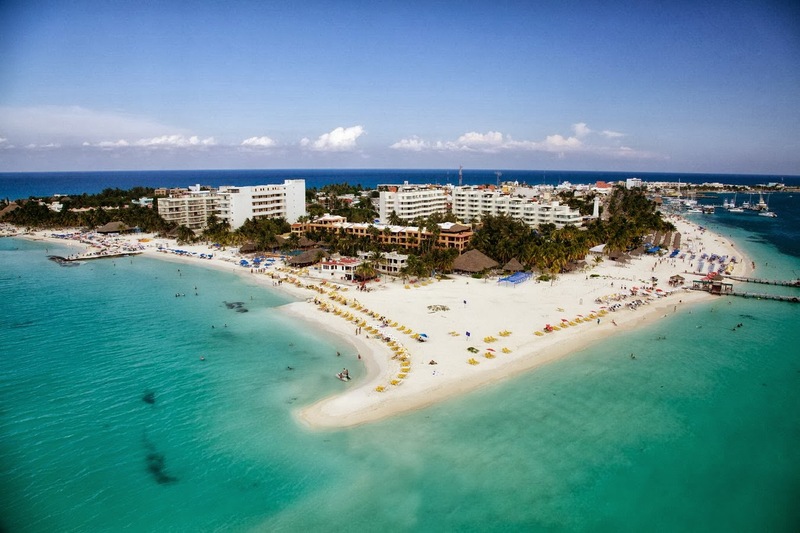 Isla Mujeres or the island of women is located in the Mexico and is the right place to make your holiday unforgettable. It is 7 km long and 650 meters wide and famous for its dolphin diving activities. So, visited by a large number of people. Spending vacations on an island is a spine tingling thing for anyone and it becomes overwhelming when swimming can be done with dolphins. Have you ever dreamt of doing such things in your real life? Never, answer by many of you. But, my answer is that it is possible in the warm water of the astonishing Caribbean Sea. Are you sure? Asked by a person and I said yes and tell him how is it possible on this precious island of the earth. Isla Mujeres is the place where you get a chance to make your dream come true and have a memorable holiday trip with sparkling dolphins who are the most incredible creatures of the sea. 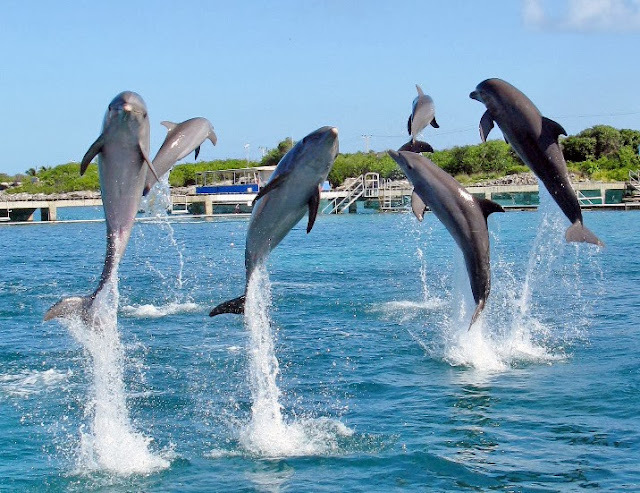 Imagine the moment when you are handshaking, kissing, swimming, playing with the dolphins. Taking the photographs of such beautiful moments always keeps you on par even at home. 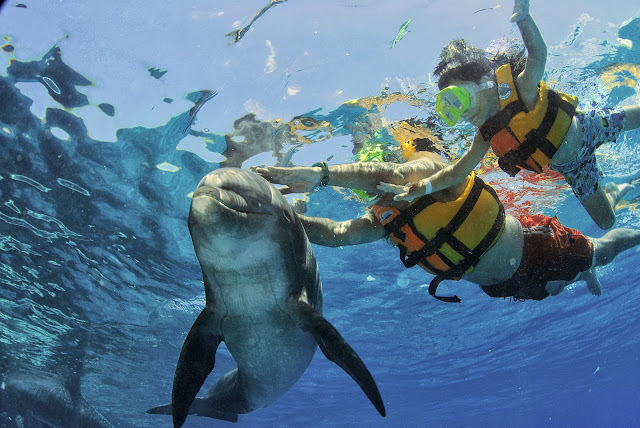 After encountering with the dolphins, you will surely fall in love with them. 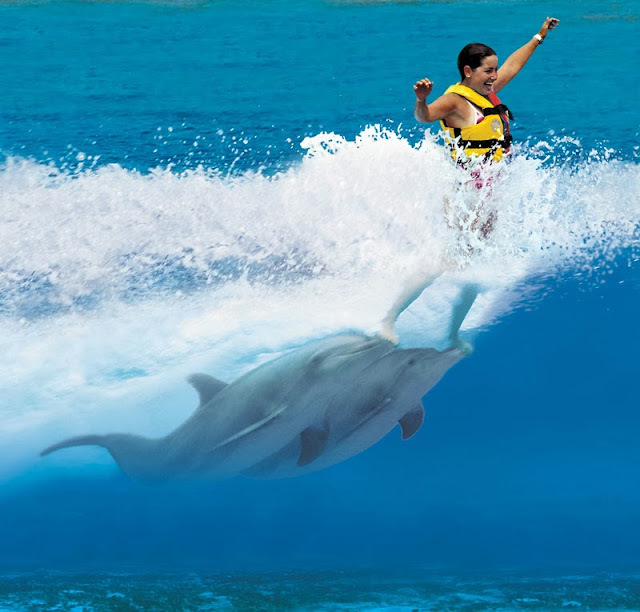 While swimming you will be hosted by two dolphins who entertains you in all locations either on land or in water. They greet you with a kiss or a handshake and will continue to laugh with you. In a few moments, you will be able to learn tricks and fun ways to interact or play with the dolphins. During the free time, they reveal their personalities to the fullest to entertain you at a great extent and this will create some memories that will last long in a life time. After entertaining much, they will take you to a high speed belly ride that will be the most adventurous moment of the trip. 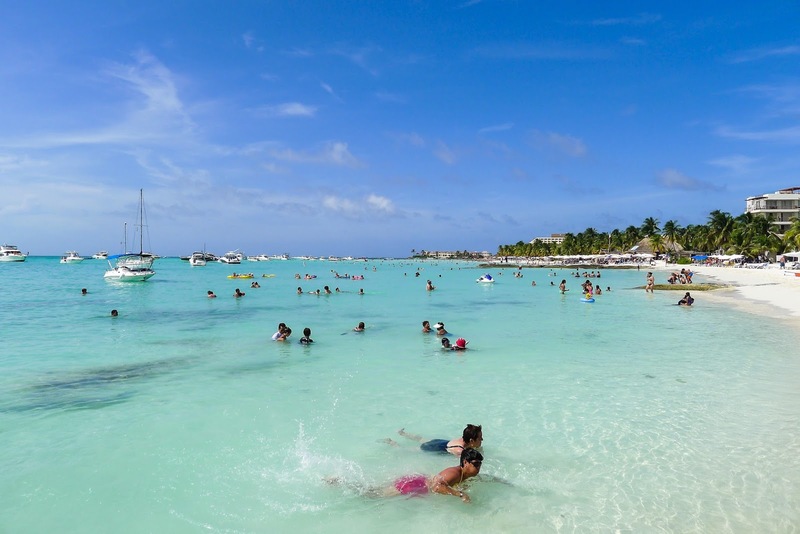 The high speed swims through the soaring Caribbean Sea make you surprised with their fun capacity. There, you will also have an opportunity to snorkeling in the sea. You will be able to see huge bull sharks in their natural environment. They are friendly enough, so, do not harm you. • Children must be more than 8 years of age to participate in all these adventurous activities. • Children of 8-11 years old must be supervised in the water during the adventurous activities by the “dolphin and snorkeling” agents. • Children shorter than 3’11” height are not allowed to participate in these kinds of activities. • Pregnant women cannot participate. • Maximum of 10 people can participate at one time to ensure a personalized experience. Tip: - Wear life vests during the water activities for safety reasons even if you know swimming very well. Thus, the whole trip of Isla Mujeras is a remarkable one and nobody forgets the adventure of this place in their lifetime. Visit here to make a booking for this adventure tour. I like these pictures, especially underwater pictures. wow soo great! 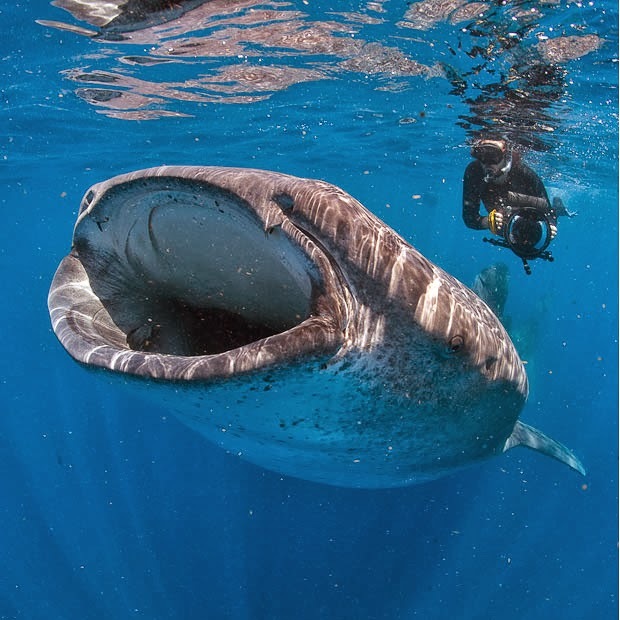 !that whale shark!!amazing!!!!! Unbelievably beautiful image. A paradise indeed! An interesting place! That whale shark is amazing! I was here many years ago (1989! )...it's changed/developed a lot. Beautiful place. I love dolphins! Thanks so much, Majoros! I glad you visiting here and became joined with my site..Hope keep visiting..
Niebieskie morze, piaszczysta biała plaża i delfiny, to wakacje marzeń. Byłoby cudownie. Pozdrawiam. Blue sea, white sandy beach and dolphins, a dream vacation. The Dolphins would not have even swim enough to me to look at them because I love them. It would be wonderful. Yours. Yes , delicious photos , I like Isla Mujeres , two years ago I was there ! Gorgeous. Dolphins make my heart sing. A minor point - you mention Bull Sharks in your text, and say they are harmless. No, they aren't. Not at all. I think you meant whale sharks - which are pictured underneath. I almost went to this place on my first trip to Mexico. Sadly I never made it. Perhaps in future as it looks beautiful! Marvelous place... Thanks for comment. Regards from Spain.. Thank your, Toby!! Hope Keep visiting.. This is gorgeous! Great photos. Great shots. I love seeing the dolphins and the beautiful place. What a spectacular place! Love your photos. Thank you Hanne!! I glad you visiting here.. Hope keep visiting..
Hi! Very fantastic shots. I want to go there in some future. Thanks for sharing. What a beautiful place with amazing opportunities! What a fabulous place to vacation. That water is gorgeous. There is nothing like it...so pretty. Wonderful adventures with dolphins...we have them here also! Great idea to swim with the dolphins. My daughter , who lives in Australia , did it once. Thanks so much all my friends!! I appreciate for your kind feedback . .. Wonderful photos! What a beautiful place, and splendid vacation this would make. I love Dolphins, they are so intelligent. I have friends who live in México, and one day will perhaps visit them, and would also love to visit this Island. i swam with the dolphins once, it was the best day of my life!! looks like a beautiful, fun place!! We have swimming with dolphins here in Western Australia, but not quite like this. Thanks for sharing and for stopping by my blog this week. Really amazing photo collection. Blue sea is simply beautiful and very liked photo with dolphins and the girl. It's a great shot. PS. Seems I have an unsolvable technical problem on my blogs because I cannot upload pictures in good quality. Therefore I will say goodbye to Blogger very soon. Your like on my new page would be higly appreciated! Great photos - looks like a fabulous place. I've been to Mexico a couple of times but not here. Tat would be SO much fun! The leaping dolphin shot is amazing! Thank you Sallie! Truly, it is fantastic place for family vacation.. I glad you enjoying here..Hope keep visiting.. I read your write ups again and again.